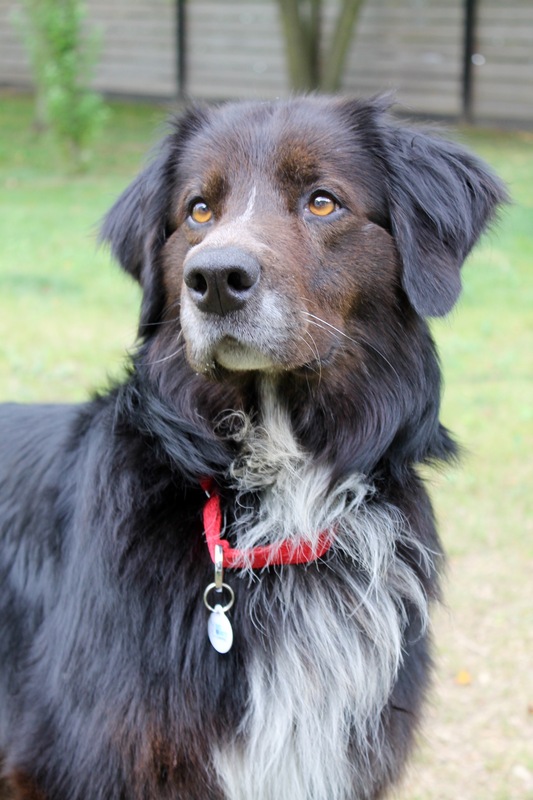 Thorin is an incredibly sweet four year old boy. 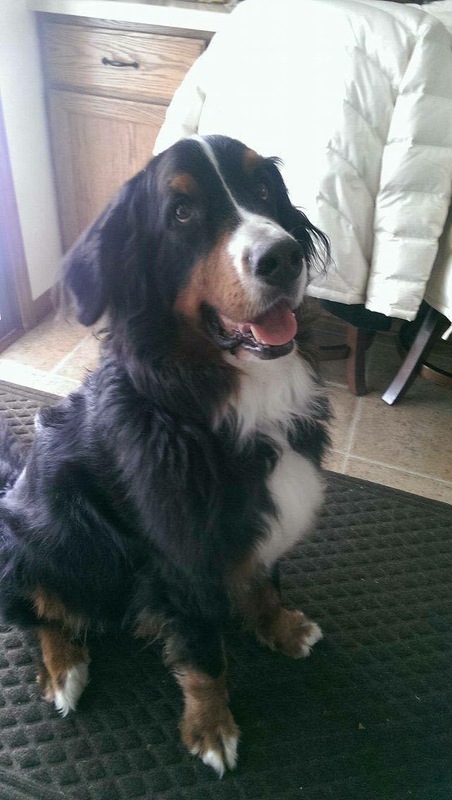 His favorite activities are snuggling on the couch and receiving belly rubs. 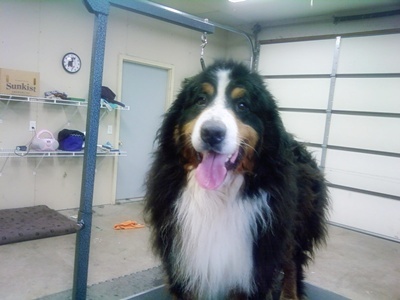 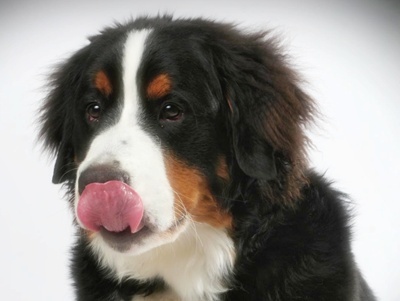 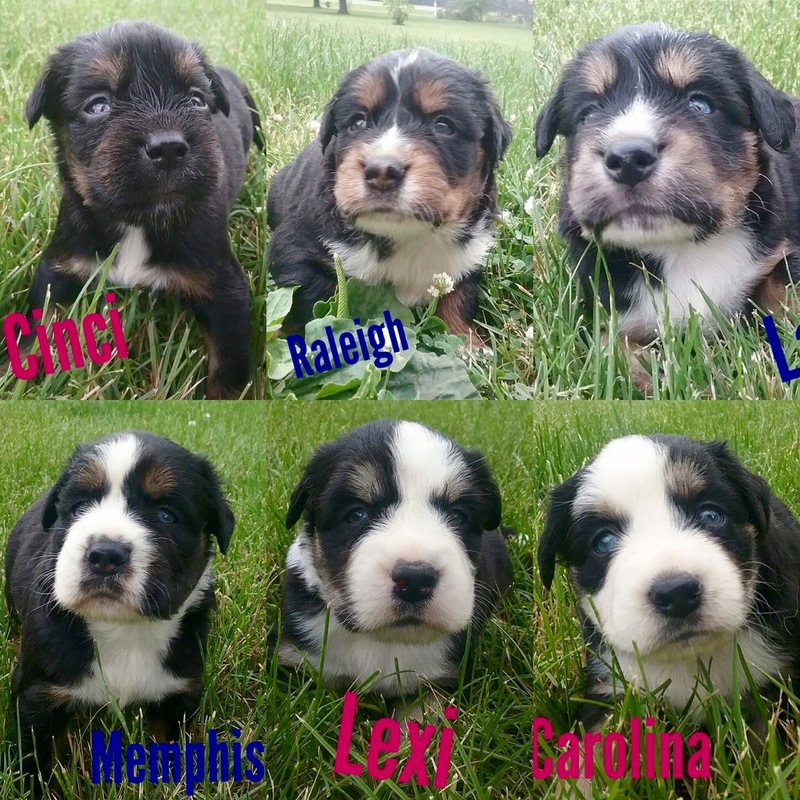 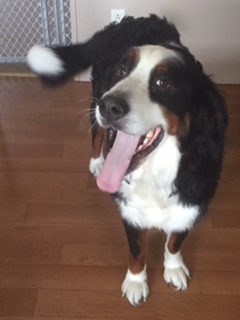 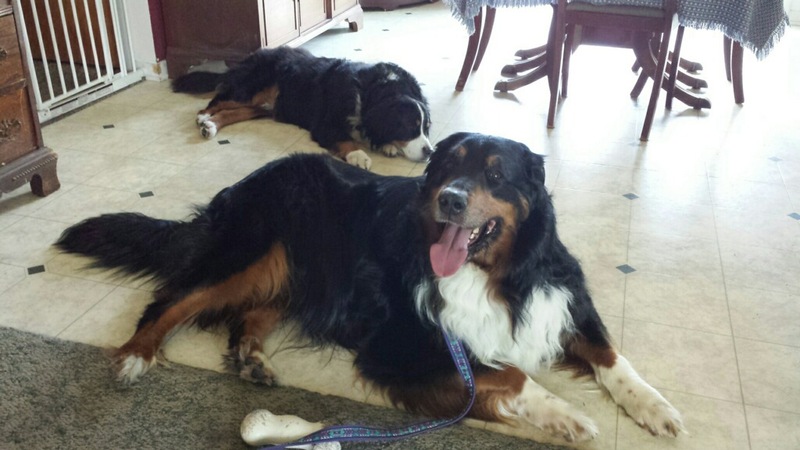 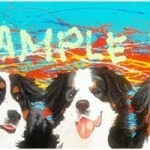 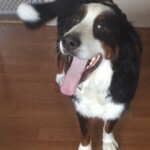 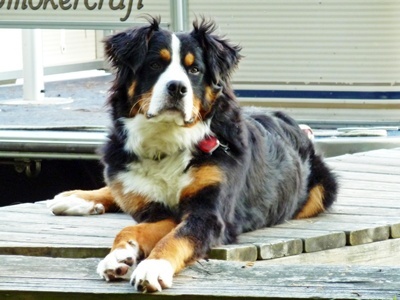 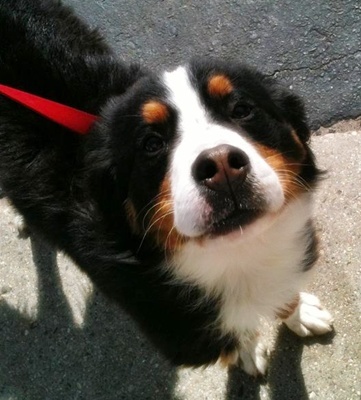 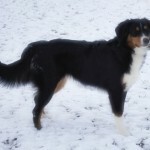 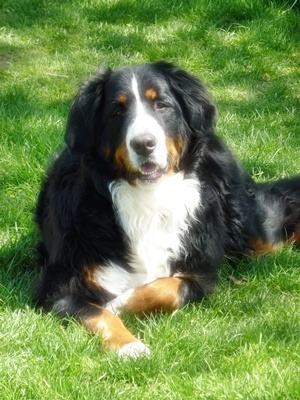 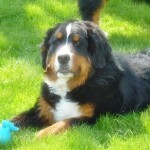 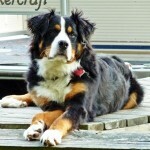 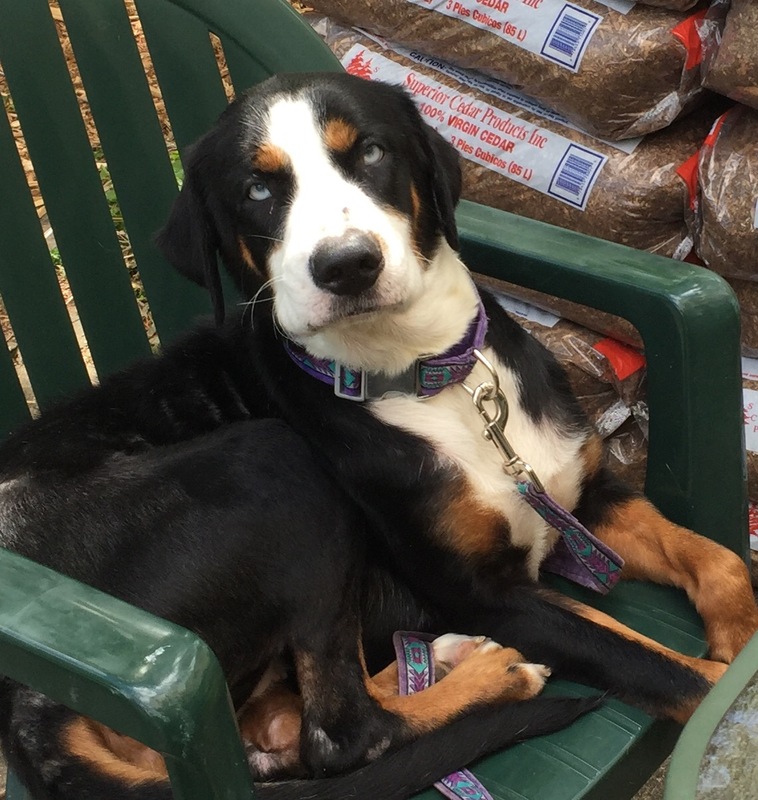 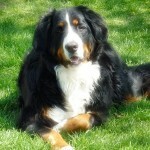 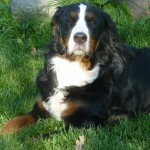 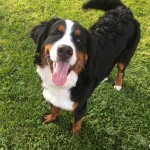 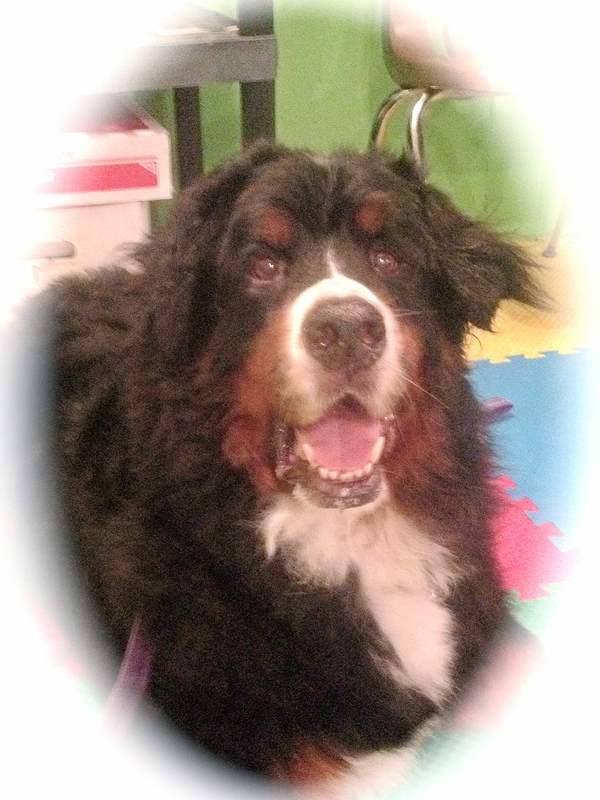 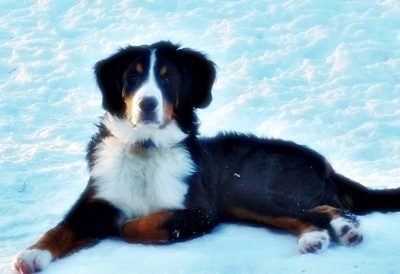 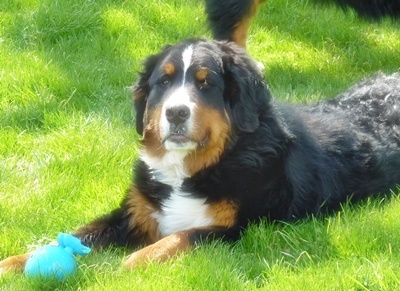 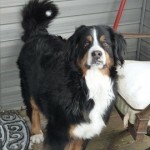 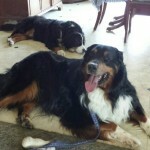 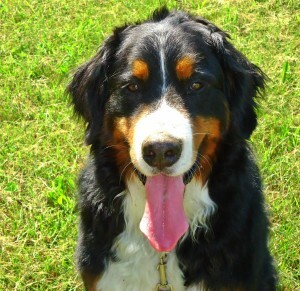 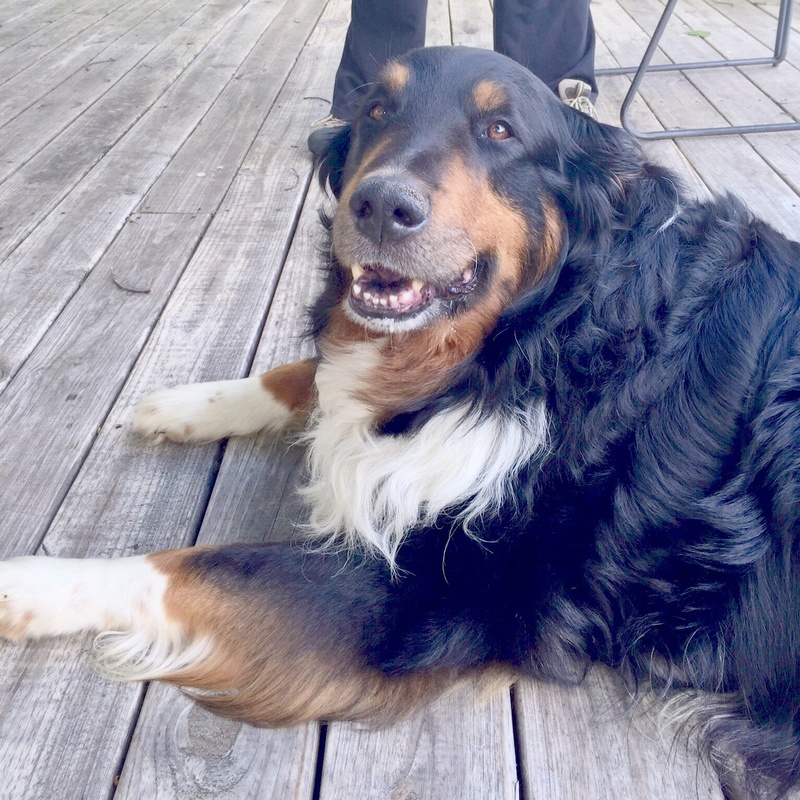 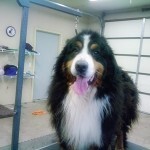 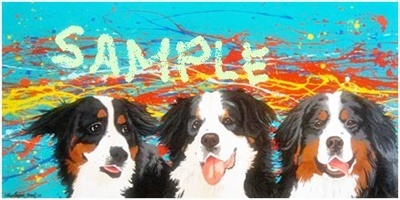 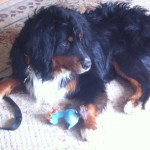 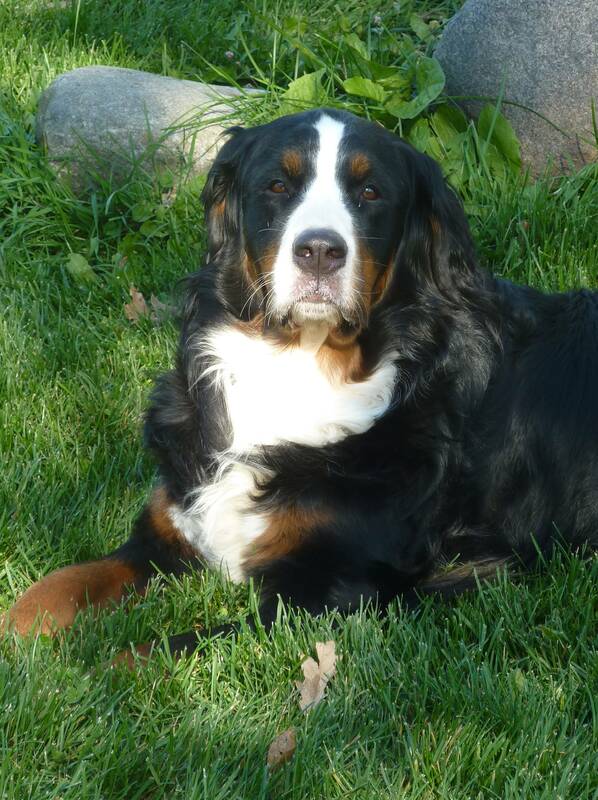 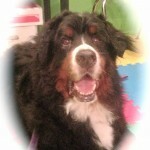 Once you have gained his trust, Thorin is the gentlest and most affectionate Berner you will ever meet. 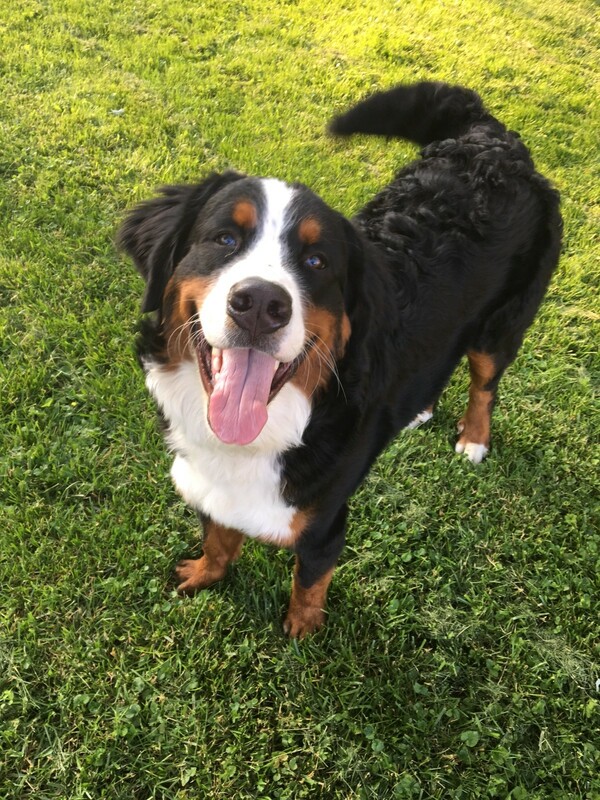 Thorin has suffered abuse at the hands of cruel people, as a result he can be very fearful with new people and needs patience to gain his trust. 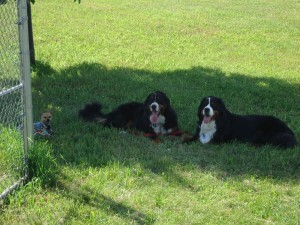 Thorin does great with other dogs and even regularly plays with a 9 lbs Chihuahua! 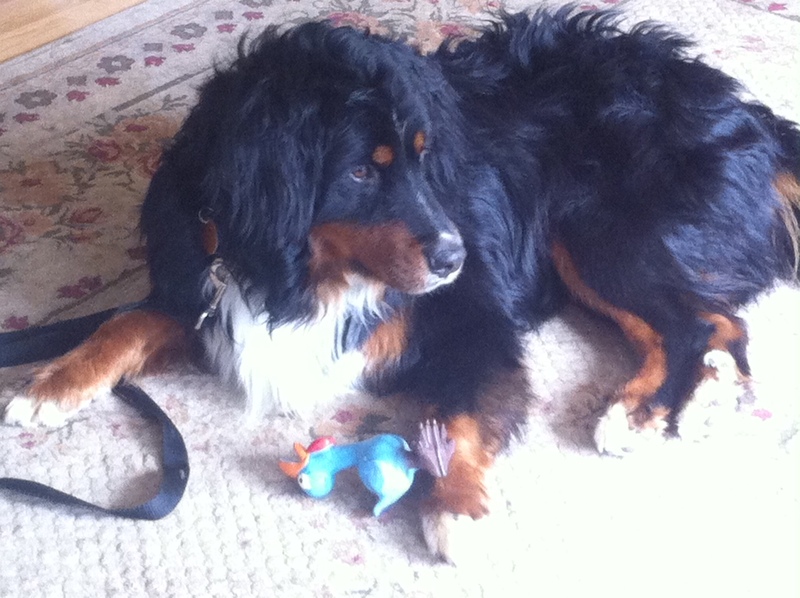 The ideal home for Thorin would be experienced (or willing to learn!) 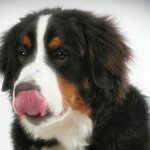 in clicker training and understand the need to gently, carefully help him discover the world. 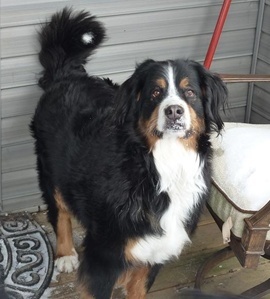 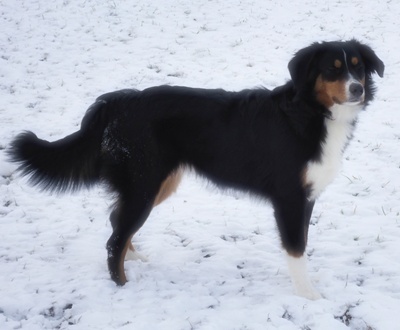 Thorin would love a home with a people who are home most of the day or willing to take him to work. 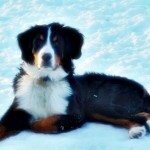 Once he trusts you, he is the most devoted of companions! 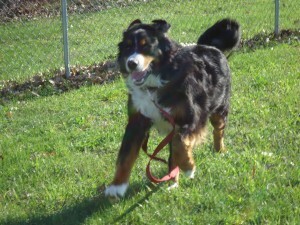 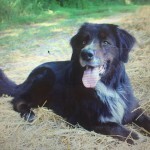 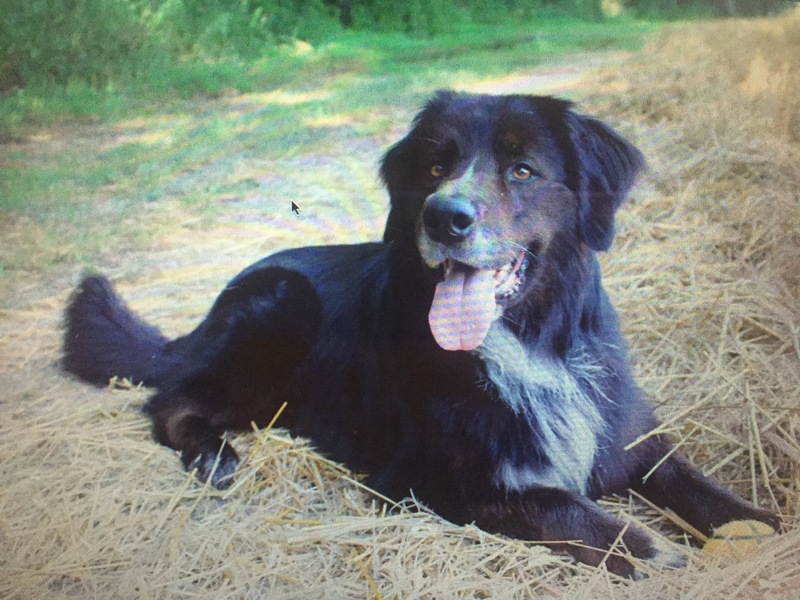 Thorin needs a fenced in yard, and would not do well in a home with young children (they would scare him). 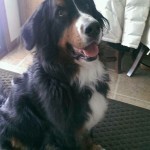 Thorin has never shown any aggression, and is such a gentle soul. 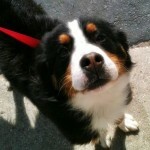 He is neutered, up to date on his shots, and microchipped. 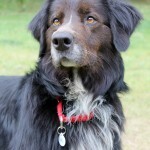 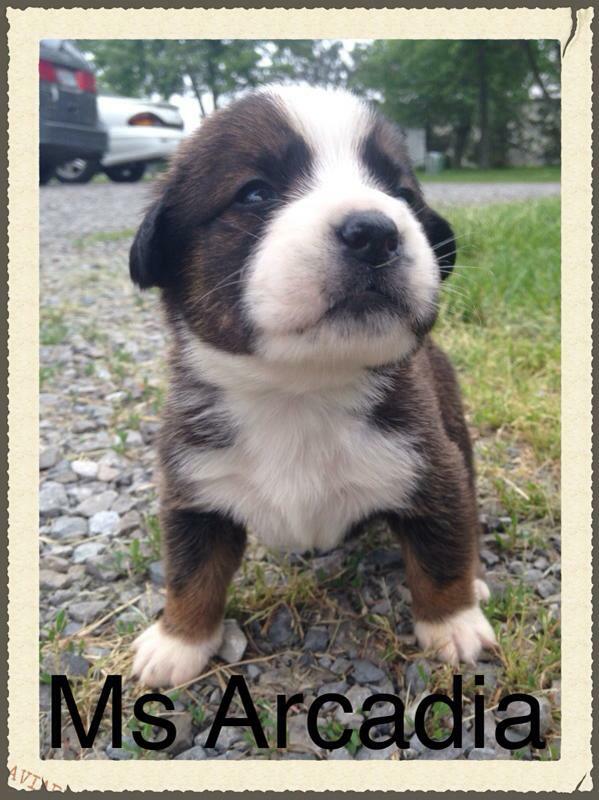 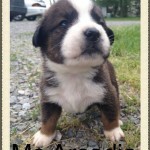 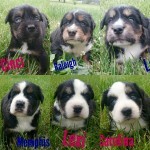 He would do well with dog savvy cats but may chase a very shy one.